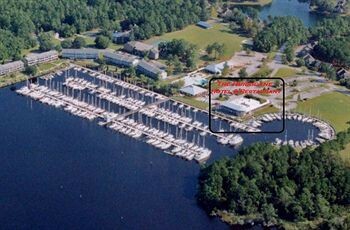 Property Location When you stay at Fairfield Harbour Guest Rooms in New Bern, you&apos;ll be on the waterfront and within the vicinity of Northwest Creek Marina and Pepsi Museum. This resort is within the vicinity of New Bern Firemen&apos;s Museum and Tryon Palace.Rooms Make yourself at home in one of the 5 individually furnished guestrooms, featuring refrigerators and LCD televisions. Complimentary wireless Internet access keeps you connected, and cable programming is available for your entertainment. Bathrooms have showers and hair dryers. Conveniences include microwaves and coffee/tea makers, and you can also request irons/ironing boards.Rec, Spa, Premium Amenities Don’t miss out on the many recreational opportunities, including outdoor tennis courts, an indoor pool, and a spa tub. Additional features include complimentary wireless Internet access and tour/ticket assistance.Dining Grab a bite to eat at the resort&apos;s restaurant, where you can enjoy drinks at a bar and dine alfresco (weather permitting). Or stay in and take advantage of room service (during limited hours). Quench your thirst with your favorite drink at a bar/lounge. A complimentary continental breakfast is included.Business, Other Amenities Free self parking is available onsite.